Quito is a new project for the 2019 Calico Challenge. It is a modular open source project to manage the member operations of religious institutions, not necessarily limited to churches. The project aims to provide churches with better demographic data of their congregations, improved facilities management, easier recall of volunteer skills, and more. 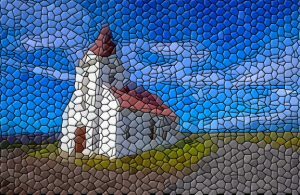 There are many commercially available software services for churches, but we have found no actively updated “free to use” open source software. There is also an opportunity to tailor the project’s software to operate better in the Caribbean context where most users are connected to the Internet through their phones. This Palisadoes Foundation project is in keeping with our goal of promoting technology adoption in Jamaica, and is aimed at helping fellow charitable organizations contribute more fully to society. It will be written in the Python programming language that is taught at most university level undergraduate programs in Jamaica. We are working on supporting requirements and design documentation for students to use. You can view the latest updates on our Palisadoes Foundation GitHub account. Code will start to be added as soon as Challenge kicks off. Contact the project mentor David Bain at Alteroo for details. If you are a student and are interested in working on this project then apply to the 2019 Calico Challenge. Applications close on Tuesday March 26, 2019. Details can be found on the Calico Challenge web page. The RealDecoy team at the UTech IEEE student branch club meeting where the Calico Challenge was discussed. We’ve started the New Year with great news! 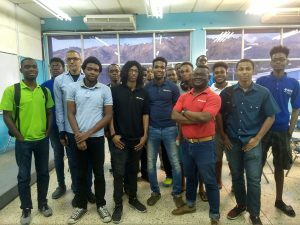 In January we visited both the UTech and UWI student computing clubs in which staff from RealDecoy discussed the key skills software developers will need to be successful in their careers. The need to be up to date and curious about how the latest technologies work was very clearly highlighted. Che’-Andre Gordon from RealDecoy spoke about the need for students to be visible on professional social media sites like LinkedIn to promote resume related information, and GitHub to showcase working software students have written. During the trip we also visited the Caribbean Maritime Institute, Northern Caribbean University, the University of the Commonwealth Caribbean and the Vector Technology Institute. This triples the number of institutions in Jamaica that have been introduced to the Palisadoes Foundation and the Calico Challenge. Our 2019 programming projects include core data collection applications, now in their fourth year of development, and a new project named “Quito” aimed at making the member management of churches and other religious institutions easier. UTech also received a second shipment of Dell computer hardware from us to be used to support student labs. We are grateful to our benefactors who so graciously donated this equipment to our work in Jamaica. You may have also noticed that our social media posts have become more regular to provide interesting regional news on ICT that you normally won’t find on major technology or general news websites. This has strengthened our connection with those interested in our work. We also have two new volunteers helping us in Jamaica this year. Shanell Hopkins and Gabrielle Higgins. We’ll have more updates about them soon. This is the Calico Challenge’s fourth year. We look forward to many more! There are many ways to get involved. The Palisadoes Foundation will be listed on your company’s donation portal and you can also visit our donation page to help. The 2018 Calico Challenge is Over! Congratulations to our participants this summer and we wish them all the best in their careers that have been enhanced by the Palisadoes experience. Today we highlight our 2018 graduates and showcase their interesting final presentations. Calico is a Palisadoes summer internship program for Jamaican university student programmers. Their work is supervised by software industry volunteers with an interest in helping students transition into the work world. Calico stipends are paid when students achieve of pre-defined goals assigned by their mentors. The software code our Calico students produce are actually contributions to various open source software projects. The results of their work are public on the GitHub website and publicly show the quality of their work. This can be used by potential employers as an addition to the students’ resumes. Santa Clara, California: August 18, 2018 – The N.C.B. Foundation (NCBF) announces its US$5,000 sponsorship of the Palisadoes Foundation’s third annual Calico Challenge. This demonstrates NCBF’s commitment to nation building by strengthening all levels of Jamaican education through a partnership that provides practical experience to students in using cutting edge STEM methodologies which are vital to the country’s international competitiveness in the field. Further, this marks the successful alliance between NCB Jamaica Ltd., the Jamaica Computing Society, the Palisadoes Foundation, the UWI Computing Society and the University of Technology IEEE Student Branch. The Calico Challenge is a summer work study program for computer science students in Jamaica. Each selected student works on enhancing open source software used internationally under the guidance of a Jamaican mentor. Participating students receive US$1,500 for their successful progress. This stipend is incrementally paid based upon the achievement of specified milestones. Calico is also a feeder program for the similar Google Summer of Code. NCBF’scontribution was used to both fund student stipends and special awards, which will be announced at a later date. The Foundation was formalized in 2003 as the philanthropic arm of the country’s largest home-grown bank, National Commercial Bank Jamaica Limited. It provides opportunities for future generations to lead wisely and participate meaningfully to Jamaica’s development. The Foundation invests in scholarships at the primary, secondary and tertiary levels and funds various educational programmes across the island. It also helps to improve the physicalconditions of schools to create safe and healthy environments that encourage learning. Youth entrepreneurship is another focus area with the Foundation partnering with several skills-based projects to enhance trainee skills in data entry, IT training and small cottage industry development. The Foundation supports programmes that develop the leadership skills in Jamaica’s youth and encourage active citizenship. 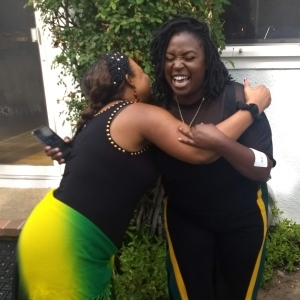 The California-based Palisadoes Foundation aims to provide new avenues of promoting Jamaica’s technology businesses and talent by using a series of programs which create increased awareness of the island’s abilities in the global marketplace. Today we feature Shannika Jackson one of our 2018 Calico Challenge participants. 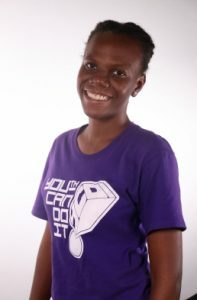 Shannika Jackson is a Kingston based student of technology who holds a BSc. in Psychology and a Graduate Diploma in Information Technology. She presently pursues an MSc. 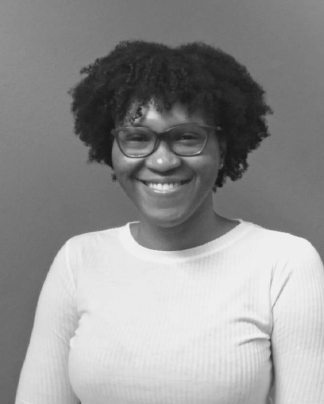 in Computer Science from the University of the West Indies and has worked for eight years as a Business Analyst with the Jamaica Public Service Company where she documented and digitized the returned bill process. She also established a framework for trans promotional advertising via their printed and electronic customer bills, earning the company 5M in profit in two years with zero added capital. Shannika currently works to implement a Business Intelligence and Analytics platform as part of the Analytics and Enterprise Solutions Team. She enjoys cooking, creative writing and the hypnotic sounds of Macy Gray. Her most immediate endeavours include the development and expansion of her skills in programming, data analytics and writing poetry. 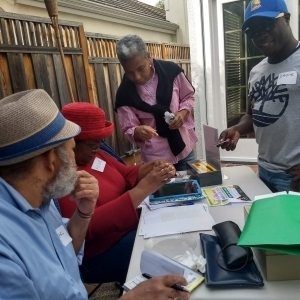 Palisadoes Foundation volunteers Orandi Harris and Jamel Reid recently visited Silicon Valley for business. They both work for QualityWorks in Jamaica. Orandi gave a presentation at the international Node Summit on advanced software testing techniques. We took them on a fun selfie tour of Silicon Valley after the presentation! 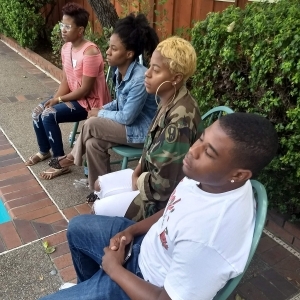 Santa Clara, California: July 7, 2018 – The GraceKennedy Foundation announces its US$1,500 sponsorship of the Palisadoes Foundation’s third annual Calico Challenge. This step furthers the GraceKennedy mission of enhancing the well-being of Jamaicans through educational opportunities. In addition, this commitment celebrates the successful collaboration between GraceKennedy, the Jamaica Computing Society, the Palisadoes Foundation, the UWI Computing Society and the University of Technology IEEE Student Branch. The GraceKennedy Foundation’s contribution was used to both fund student stipends and special awards to be announced. The GraceKennedy Foundation aims to have a positive impact on the quality of people’s lives by actively promoting well-being, primarily by supporting educational and environmental programmes and processes. The GraceKennedy Group is one of the Caribbean’s largest diversified conglomerates. It comprises a varied network of some 60 subsidiaries and associated companies located across the Caribbean; North and Central America; and the United Kingdom. Their operations span the food distribution, financial, insurance, remittance, hardware retailing and food-processing industries. Palisadoes Foundation Treasurer, Tennyson Williams explains the goals of the Calico Challenge. 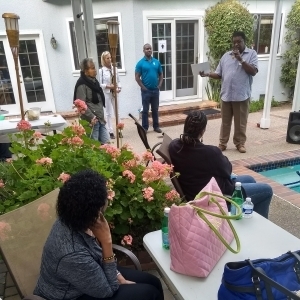 The Palisadoes Foundation had its first Silicon Valley fundraising event on June 9, 2018 in San Jose. Enough funds were raised via social media, email campaigns and the event itself to fully sponsor one of our 2019 Calico Challenge students. Catering was donated by two stellar Bay Area establishments, Kingston 11 Cuisine whose jerk chicken and fried plantains were cherished by all, and Flavas Jamaican Grill, who provided delicious rice and peas. It is hard to believe that this is our third full year of being a charitable organization. We have come a long way. The donations received today will help Jamaican university students transition seamlessly into the work world through our Calico Challenge mentorship program. Peter Harrison, President of The Palisadoes Foundation. I’m very encouraged by the turn out for the event. It shows the great commitment of the community to our cause that is truly helping the development of the island. We have often spoken about expanding Calico to the rest of the Caribbean, the time to do so is getting closer by the day. We continue to increase our donation base through these sorts of events, and look forward to even better outreach programs in 2019. Our core volunteer team is growing and I’m confident that we’ll be able to expand regionally in the near future. Stay tuned to the Palisadoes Foundation website’s news feed for updates on our activities. Donations were eagerly provided by keen attendees who understood our core mission. 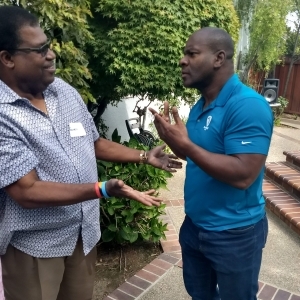 Palisadoes Foundation Treasurer, Tennyson Williams and the Foundation’s Company Secretary, KG Charles-Harris discuss plans for 2019. Donors learning how the Palisadoes Foundation uses its funds to help prepare Jamaican students. Kingston 11 Cuisine is an environmentally friendly, community-oriented, innovative restaurant. Its mission is to provide consistent high-quality, delicious blends of Jamaican and Californian cuisines using local and organic ingredients. It is a contemporary urban dining oasis known for great service, cultural exchange and the nexus of great relationships. Our goal is to use these qualities to positively transform the lives of our patrons, employees, and greater community. the restaurant has been the lifelong dream of Owner and Chef, Nigel Jones. Growing up in Kingston 11, one zip code away from Trenchtown, Nigel was surrounded by the smells, sounds, culture, and taste of urban Kingston. He was trained in the kitchen of his beloved grandmother, Gwen “Miss Gwen” Larmond who taught him to cook by balancing the flavors of the most local of ingredients—fruits and vegetables from the yard. His extensive travels also taught him that the kitchen innovations of poorer communities—the hearty home cooked meals—are the best, most flavorful and therefore most satisfying. For years he has sought to bring his appreciation for his native food and culture together with his desire for a sophisticated dining and lounge experience where all are welcome. Kingston 11 Cuisine has become that place. From their days as a pop-up restaurant in Berkeley, CA to the new space in Oakland’s Uptown, Nigel and his partner Adrian Henderson have seamlessly combined Miss Gwen’s legacy of simple home cooking, Jamaica’s rich culinary tradition, and the global practice of community-building around food, drink, and music. Flavas Jamaican Grill is a mid-scale restaurant established with a mission to serve delicious authentic Jamaican cuisine in a friendly and relaxed atmosphere. The Chef has a passion for flavor and a desire to satisfy the taste buds of all lovers of Jamaican food. You may have tasted some of these dishes on a vacation to the Island, or if you are just exploring for something new to savor, the Chef will guarantee your return to Flavas for more delicious Jerk & sweet reggae music. Flavas owner, Leroy Douglas began his cooking career at the early age of ten, at home in Jamaica cooking for his family. That early love of cooking led him to one of the top local colleges in Jamaica. After a few years in the industry, Chef Leroy went to further his studies in the field at the George Brown College in Toronto and Hocking College in Ohio. In Jamaica he worked as a chef at the Super Club Resorts, Sandals Resorts and Swept Away Resort. In America his work at the Skyline Club in Southfield Michigan; the Marriot Hotel Renaissance, Detroit and the MGM Grand Hotel and Casino, Detroit is known. Chef Leroy has participated in many food shows and competitions and has won several medals. He uses his experience and skills to tantalize the taste buds of South San Francisco with the freshest ingredients and tastiest Jamaican style preparations. Whatever the occasion, Chef Leroy will customize your menu exactly to your specifications.